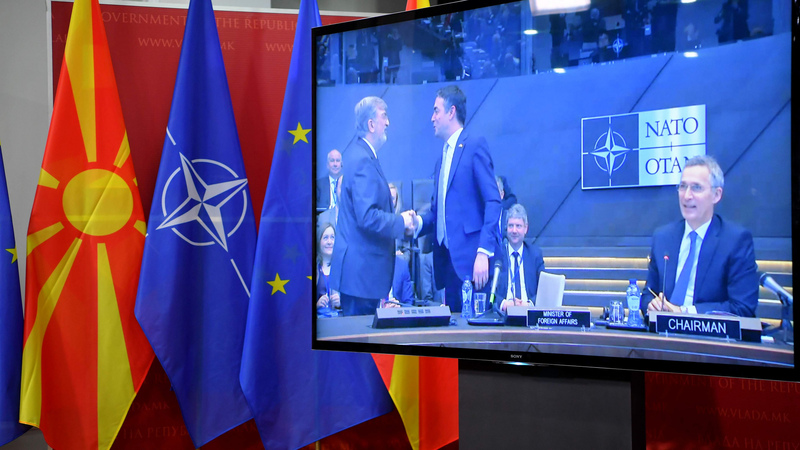 Political leaders in Skopje have hailed the signing of the NATO Accession Protocol that took place on Wednesday in Brussels. “This is a historic day for all of our citizens. Today we sat side by side, on the same table as our allies”, said PM Zoran Zaev. Meanwhile, the country’s president, Djordje Ivanov has praised the signing of the protocol, however, he objected to the name change. “The signing of the protocol followed the agreement for the country’s name change, which caused significant damage to Macedonian national interests”, Ivanov said. The leader of VMRO-DPMNE, Hristijan Mickoski, after praising this act, has also launched accusations against PM Zaev. “I praise every success that Macedonia achieves, although Zaev bargained with something that past generations have paid with their blood”, Mickoski said. The leader of BDI, Ali Ahmeti said that this is a special day for the country, the region and the Euro-Atlantic community.